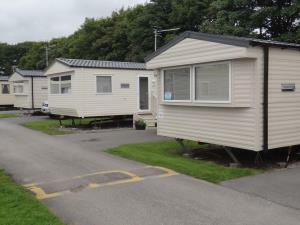 Lakeland Static Caravan Hire7584138682work Individual CaravanOur caravans are located at the Lakeland Leisure Park, Flookburgh, Grange-over-Sands. The area is known as The Lake District Peninsula, an area of outstanding natural beauty which offers activities, shows and entertainment for all the family. Our Atlas Moonstone (Deluxe 2016) is a 6 berth static caravan and has 3 bedrooms 1 double bedroom and 2 twin bedrooms. The double bedroom is very comfortable with a double wardrobe (with dresser in the middle) and bedside units and cupboards on each side of the bed. The twin bedrooms have a wardrobe and bedside unit and cupboard. There is a large bathroom with walk in shower, also a WC and basin, there are jack & jill doors – (one from the double bedroom and one from the hallway, each door can be locked). There is also a separate WC, and wash basin along the hallway. The lounge is open-plan to the kitchen, there is also a dining area across from the lounge seating. The kitchen has a full fridge and small freezer, microwave, full-sized gas oven with 4 rings, grill and separate oven. The Willerby Seasons (Deluxe 2017) has 3 bedrooms, 1 double and 2 twin bedroom. The double bedroom is very roomy with ample space, so there is a dresser and chair with large wardrobe. The bathroom has a walk in shower, WC and basin and a small storage cupboard. The lounge is open plan to the kitchen, the dining table is at the end of the lounge with seating for 6 people. The kitchen has a large free-standing fridge with a good size freezer compartment above it. There is a built in microwave and full standard 4 ring cooker with oven and grill. All are double-glazed and central heated. All bedding, electrics and heating are included in the price. We have equipped the caravan with everything you will need from kettle to egg cups. The lounges have large TVs with Freeview , a DVD player and a Bluetooth spear. There are books, jigsaws and DVDs for you to enjoy. There is a parking space for one vehicle and a patio area outside each caravan. Passes to the park can be purchased when you arrive. Lakeland Static Caravan Hire offers weekly bookings starting on Friday and short breaks of 3 days starting on Friday and of 4 days starting on Monday in some seasons. We have 2 bedrooms, 1 double size and a two twin bedrooms. Hawkshead 22 offers weekly bookings starting on Friday and short breaks of 3 days starting on Friday and of 4 days starting on Monday in some seasons. 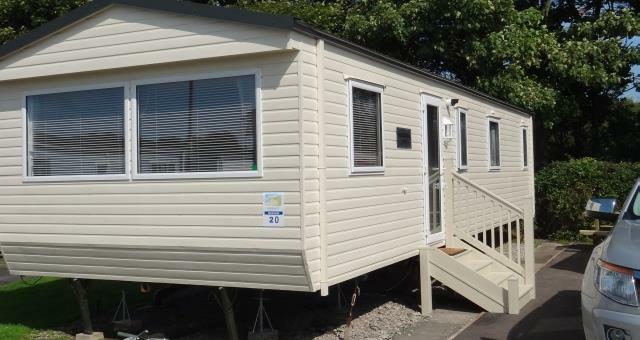 Our caravans are located at the Lakeland Leisure Park, Flookburgh, Grange-over-Sands.